Are you looking for an extravagant and elegant limousine for your next event? If so, then look no further. Our EWR NJ Limo is a top most limo company offering a finest Hummer Limo Service NJ. 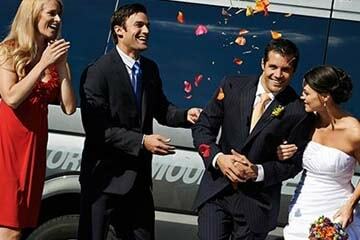 Whether you are celebrating a birthday or taking an entire bachelorette or bachelor party out for a night or enjoying with your friends to get ultimate prom experience, let our New Jersey escalade limo service arrange the whole event in style. Our elegant, reliable and affordable Hummer limo service can get you and your guests in utmost comfort and safety. With extensive knowledge and experience, we will able to maintain a high level of customer satisfaction from our clients. Our diverse fleets of latest model vehicles are professionally maintained to offer you a higher level of wellbeing while riding. We are committed to provide exceptionally equipped Cheap Limo Service on the day of your event in pristine and picture perfect condition. Our well-trained, knowledgeable courteous chauffeurs are readily available to fulfill your needs. They think that you are more than a passenger. As a valuable client, our Escalade limo service NJ promise you to meet and exceed your expectations for your partying event. Without offering any stress, our professional chauffeur will drive you safely and comfortably to your desirable venue.